Save AED 129 (44.64%) – Earn 15 Shukrans What is Shukran? Shukran is the Landmark Group’s award-winning loyalty programme in the Middle East, which allows you to earn Shukrans when you shop any of our brands. Pick this comforter set for your little angel that is designed to lend immense comfort. 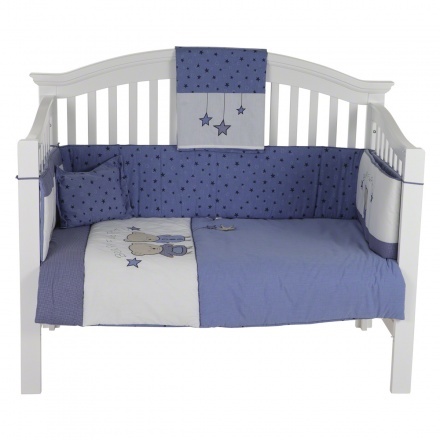 Featuring a pillow, comforter, cot bumper, bedsheet and fitted sheet, this set will keep your little one snug. The stars and teddy bear print adds to its appeal.